Beginning this week until the end of the year, we will be embellishing, decorating and dressing up our homes for the holidays. One of the simplest, most economical and beautiful ways to do this is by bringing nature into the picture. 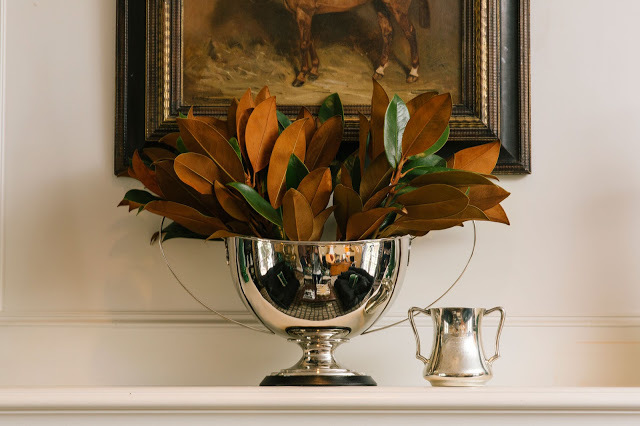 Magnolia leaves in a beautiful silver loving cup makes a beautiful centerpiece or mantel decor. 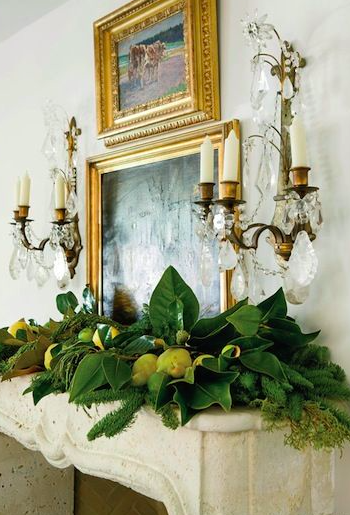 Layer magnolia leaves, fresh greens with lemons, oranges and pears for a stunning mantle or down the center of a long table. 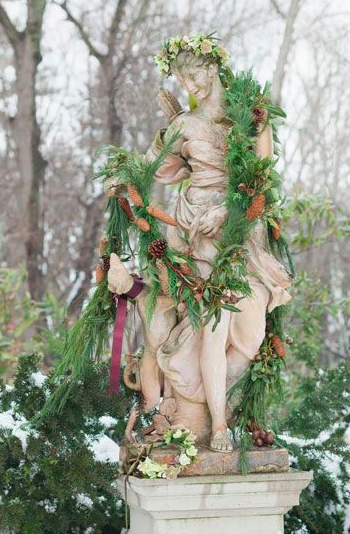 If you have statuary inside or outside, do as White House floral designer, Emily Thompson, does and drape them with greens and ribbon. 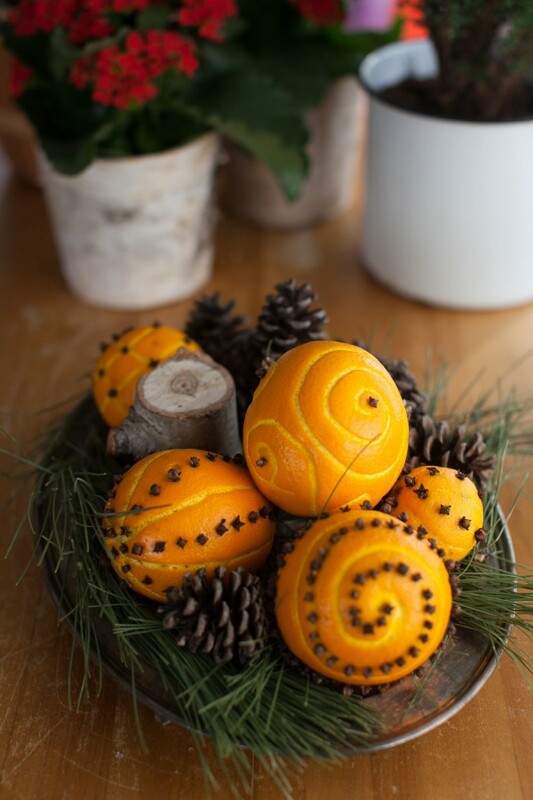 Create orange pomanders with cloves and spices and layer them with pinecones and greens. I’m going to do this project with my sons this week. Here is the step-by-step by Simple Bites! Perfect for this week into the coming month. This year, I’m going to let nature take center stage….there’s something so simple about this that translates to comfort and joy! Love it ALL! Especially the magnolia leaves…..I have an entire huge box of them and still figuring out what i want to do with all of them..want some:) Beautiful ideas here and i am with you…you cannot lose by letting nature take center stage. Enjoy your day!